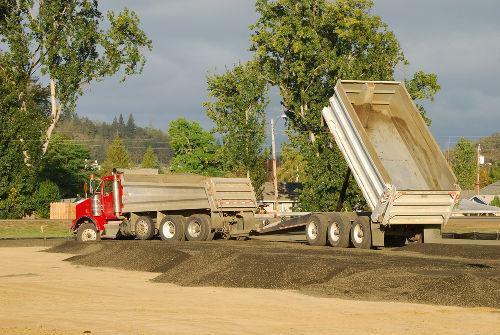 A work pre-trip & a pre-trip inspection for the purposes of a road test are different - learn why here! 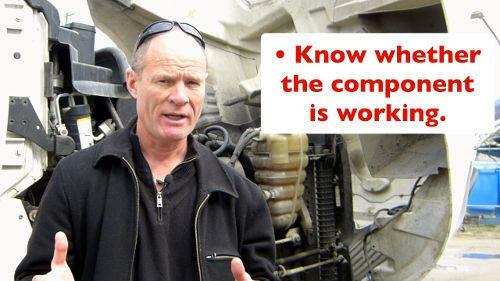 The work pre-trip inspection is different from the pre-trip inspection for the purposes of a driver's licence. 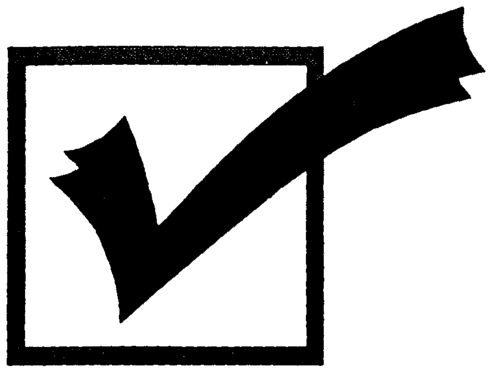 Many students who graduate from driving schools with their license have spent a considerable amount of time learning the pre-trip inspection and knowing that they have 45 minutes to do a pre-trip inspection for the purposes of a road test. A pre-trip inspection for the purposes of a road test and a work pre trip are two different animals. And we're going to talk to you today about what is the difference work pre-trip and a pre-trip inspection for the purposes of a road test. The work pre trip versus the pre-trip inspection for the purposes of a road test. Many class 1 students, tractor-trailer drivers, AZ in Ontario, and other parts of the country come in, they spend a few weeks at a driving school learning the pre-trip inspection for the purpose of a road test. And they allocate 45 minutes for the purposes of a road test to demonstrate that in a driver's license. 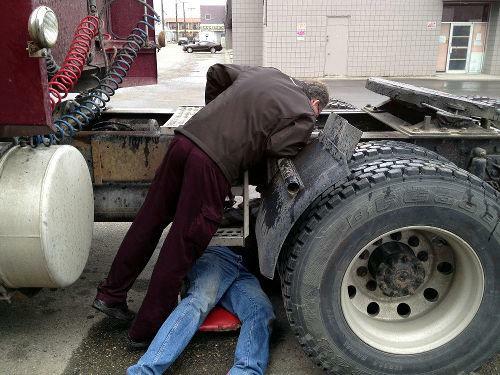 Now when you get out and work, many students are like, "well, how do I do a pre-trip inspection? No companies going to pay me 45 minutes to do a pre-trip inspection." And they're exactly right. However, for the course of the day you're still gonna do a 45 minute pre-trip. You're just not going to do a 45 minute pre trip at all at once. You come in in the morning, you open the hood, check the oil. One of the absolutes - always check the oil because as tell students: they get really excited when you blow up to $25,000 motor. That's about what it is for an in-frame in a six cylinder diesel engine is $25,000. So always check the oil, make sure there's no leaks, nothing out of the ordinary under the hood. Fire it up, do your pressure leaks. I always tell students to put the air to the trailer because if you're gonna have a leak, you're going to have a leak in the trailer. Close the hood, turn the lights on & the four ways. Get your hammer, walk around, bang the tires - make sure all the tires are inflated. Make sure all the lights are working. Get back in, fill your pre trip inspection. out. Now... most of the forty five-minute pre-trip inspection is going to happen over the course of a day because every time you walk away from the vehicle, every time you walk back towards the vehicle, you're gonna be looking at the vehicle, making sure there's no damage. 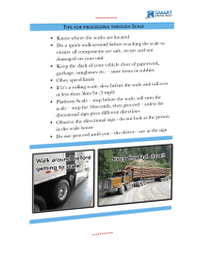 Another good practice to have as a driver on the road - every time you park your vehicle come back have a quick check of the fifth wheel connection, make sure that some bad person has not pulled your fifth wheel pin. So just a quick check of that. 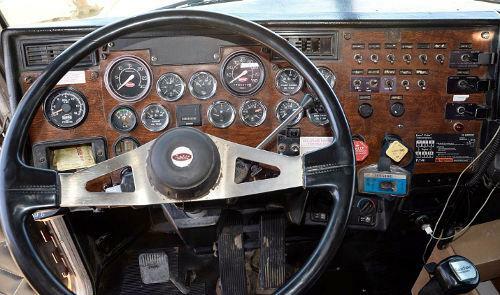 As well, when you're sitting in the truck, you're driving the truck you're listening, you're hearing, you're feeling, you're seeing, you're monitoring gauges. You're always, always, always inspecting that vehicle. And one of the gauges that needs to be continually monitored is your oil pressure gauge. Because you don't want the oil pressure to drop in the motor. I did have that happen in a bus in Australia. The oil pressure gauge dropped. As soon as the oil pressure drops you gonna blow the motor up if you continue to run it. So you have to shut it off right away! Same thing for logging truck drivers: if the truck rolls over and you feel it roll over because you are - because the rollover start slow and then ends quickly. Shut the motor off, otherwise your gonna blow the motor up. If you shut the motor off, tip the truck back up and all the oil drains down—about 25 minutes— you're good to go again. So monitor the oil gauge. You are still going to do a 45 minute pre-trip on a big vehicle - commercial vehicle, your RVs, buses - over the course of the day. Except unlike a pre-trip inspection for the purposes of a road test you're just not gonna do your 45 minute pre trip all one time. You're going to come in in the morning, you're going to do about 10 or 15 minutes - checking the tires, the lights, and everything else, and making sure that it's good to go. And then you're gonna do the rest of your pre trip inspection over the course of the day. Now there has been some discussion in the driving training circles about post trips. Post trips are not required by legislation, except if you find something wrong with the vehicle during the course of the day, then you're gonna do a post trip, you're going to mark it on your pre trip. So you can get it fixed! In conclusion, the work pre trip is different than the pre trip inspection for the purposes of a road test. Yes you are going to do a 45 minute pre trip for the course of your work day. you're just not going to do a 45 minute pre trip all at once. You're going to come in the morning, check the lights, check the tires, the air pressure, make sure everything's working. The rest of your pre-trip inspection is going to be done during the day - during a enroute. Every time you walk away from the vehicle you're gonna check it, every time you walk back you're gonna check it. And while you're sitting in the truck, you're listening, hearing, feeling, seeing, smelling, monitoring gauges. That's how you do a 45 minute pre trip. It's part and parcel of your professionalism. You're constantly monitoring the machine and making sure that is working well.